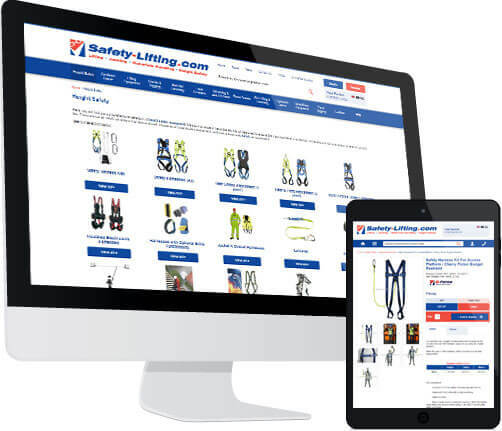 Safety Lifting came to us for a high quality bespoke ecommerce website to promote and sell their wide range of lifting equipment and height safety gear. With such an extensive range of products, the site absolutely had to be user friendly, responsive, and accessible. Furthermore, since Safety Lifting are a wholesale distributor, they wanted a trade login feature that would require clients to register a trade account to see the company’s prices. 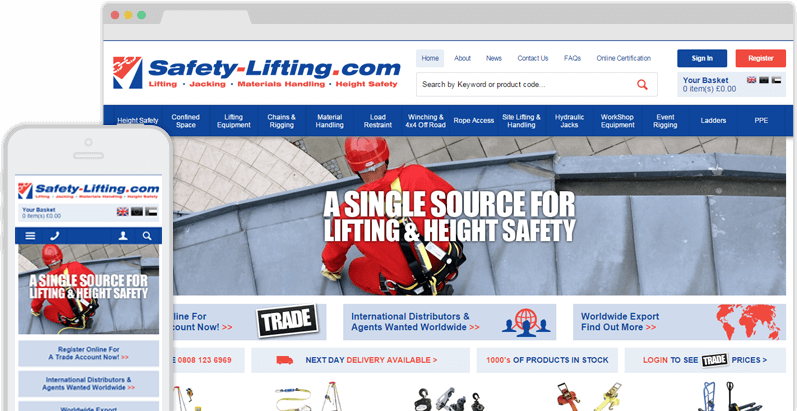 We created www.safety-lifting.com – a comprehensive and professionally-styled ecommerce website with built-in trade discounts, volume discounts, and a trade login area to provide bulk buyers with extra functionality. We designed the site to be practical and professional-looking, and we ensured that it was very simple and quick to locate specific products. The site also has a fully integrated blog for company news and product releases. "We wanted to redesign our website and Designer Websites were very helpful from start to finish. 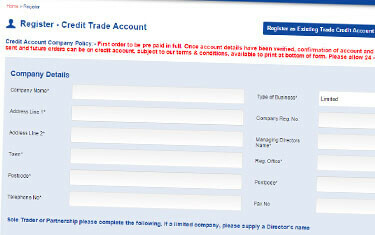 Our company now have a very professional, modern-looking website which is easy to keep up to date and add to. Going forward we will now be able to keep in touch with our customers using blogs & social media and offer the great service which they have come to expect. In short our old website has now been turned into an invaluable marketing tool, with the professionalism and knowledge from Designer Websites"
Ecommerce Websites: Safety LiftingWe gave the Safety Lifting website all of the features that a winning ecommerce website needs. They wanted to advertise a broad range of safety products but were conscious of making the site appear over-crowded, so we used our design and development expertise to create something practical that would accommodate a massive range of products, yet appear clear and user-friendly. Once we had pinned down an engaging design, we proceeded to develop some additional onsite features and optimise the site for high performance in the search engines. The finished result is one of our most impressive ecommerce websites to date, and the perfect platform for Safety Lifting to take the next step in the world of online business. We developed a site that offers visitors an outstanding online experience compared to most other ecommerce websites, and one that is also built to encourage (and cope with) high-volume traffic and sales. Website OptimisationOur in-house SEO team set to work and fully optimised this website – after all, it’s all very well having a great-looking site that’s a joy to navigate, but if no one can ever find it in the first place, what’s the point? After researching the best industry keywords, our copywriting team made sure that all the copy on the site was geared towards getting that coveted page 1 spot on Google and the other search engines. 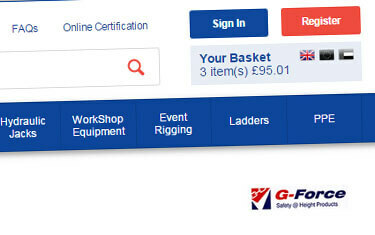 Shortly after going live, the site was already one of the top results for the term ‘safety lifting’. 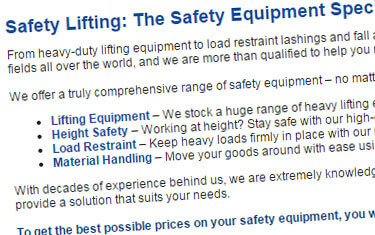 Trade AccountsSafety-Lifting.com is a trade website, which means that customers must register a trade account in order to view the company’s prices and place orders. This is done using a straightforward registration form, which sends the appropriate details through to Safety Lifting HQ; from there, it’s a simple flick of a switch to activate the account, apply trade discounts, and set up a credit limit. Sophisticated features like this make it simple and quick for trade customers to make orders online, and they also help the Safety Lifting team to fulfil orders quickly and efficiently. Multi-Currency OptionOne potential benefit of a well-made ecommerce website is its ability to attract customers from further afield. Since Safety Lifting cater to a lot of customers in foreign countries, we built a multi-currency converter into the site. Users simply choose their currency (Sterling, Euros, or Emirati Dirham) from a box at the top of the page, and the site automatically converts all products to the selected pricing, allowing customers to see how much products will cost in their own currency. This feature makes the Safety Lifting website and its product range accessible to a much wider audience.